Top 10 Read Blogs of 2015 December 12, 2015 · 7 min. readThis article may contain affiliate links. 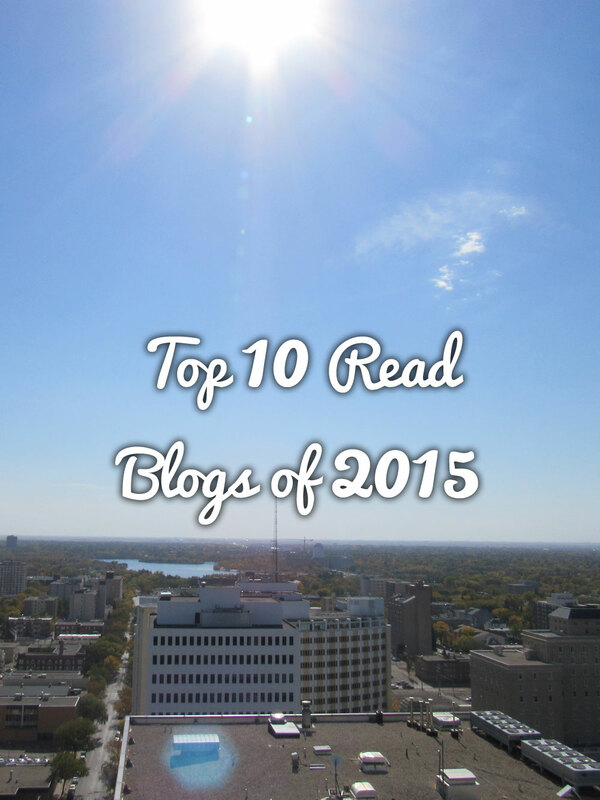 Inspired by The Saskatchewanderer's "Top 10 Most Read Blogs of 2015", I decided to showcase my top 10 as well! Some of my readers have been wondering why I've been writing about Regina, Saskatchewan and Canada lately and not some of the other locations I've visited (Hong Kong, Italy, Germany, etc), but I'll let my most read blogs below explain why. Out of my 100 (this is number 100!!) articles, these are my top 10! This article about Regina exploded the moment I published it and has been shared thousands of times. In return, it brought a spike of traffic to my site that I haven't seen since. Unfortunately, only a few weeks after writing it, one of the locations closed down. Regardless, there are still 7 locations to visit, so be sure to give it a read! This is my sequel to my most popular article. Written only recently, it didn't get the traffic surge the other article did, but it still did very well. This article covers museums, restaurants and clubs throughout the city so be sure to check it out and help spread the word! Coming in at a close third, this article surprised me. I'm not sure who shared this, but it exploded onto the scene almost two weeks after I wrote it. Of all 13 "Instagramming Canada" articles, this is one of the two to make the list. It received traffic from all over the Maritimes and even the United States, which is a country I've struggled to get traffic from. Come see what everybody is so excited about! Note: because it includes images embedded from Instagram, it takes a while to load, which is another reason I'm surprised it did as well as it did! This article takes a look at an early 20th Century map of Regina, and compares it to the current map of the city. The map is circa 1905 and shows the plans for the city before the automobile and airplane arrived. It also showed the original plans for Wascana Lake, prior to the "Big Dig" of the 1930s. It's very interesting and I'm glad it did so well, so be sure to check it out! From biblical floods to saving the Dutch royal family, Canada is full of many quirks that most people don't know (my favorite is the part about the aliens). Challenge yourself and see if you knew these things too! Briefly exploring the history behind the two companies, their tour rates and my experiences with both, I arrived at a conclusion on which company I preferred. My article prompted one of the companies to reply back, which was very unexpected. If you are planning to travel abroad with either group, be sure to give this one a read! 7. Are You The Next Saskatchewanderer? Ashlyn George's time as the Saskatchewanderer is coming to an end, and the search for another wanderer has began. This is my second time interviewing Ashlyn for my blog and we got to revisit her incredible experiences and memories. Be sure to give it a read and keep your fingers crossed for the announcement for the next Saskatchewanderer! After visiting the RCMP Heritage Centre in Regina, I decided to write an article about their incredible history, starting with their conception to protect Canadian Aboriginals from American "fire-water" (whisky), their time in the Arctic during the Gold Rush, defending Canada from Nazi spies and the protection of an ex-Soviet informant. It's a really interesting article, as is the museum. If you can't visit the incredible structure, then check out my article to learn all about it! At a close 9th place, this article showcases the architecture, nature and lifestyle of my hometown of Regina. Sometimes it's difficult to see just how beautiful your hometown is, so I'm glad this one did as good as it did! If you haven't seen it yet, be sure to give it a read! My only other "Instagramming Canada" article to make the list, this one ranked only slightly higher than my "Instagramming Canada - Saskatchewan" article. This article showcases the parks, architecture and incredible lakes that spot my neighboring province. Be sure to check it out! Written in January, this is my final article about my trip to Europe after spending 18 days abroad. It isn't an exciting read, but it offers a conclusion of my first ever solo trip. I feel one of the final sentences really showcase this blog and the inspiration around it: "Thank you all for reading this. I hope my story was worth the read. I hope I inspired and educated, or at least entertained you." If you want to be one of the few to read it, please check it out! Which did you enjoy reading the most? Let me know in the comments below!